You may have heard buzz about the transformation of Underground Atlanta – and for good reason. The multi-year project is underway and Atlanta residents are eager to see the development’s revitalization once complete. 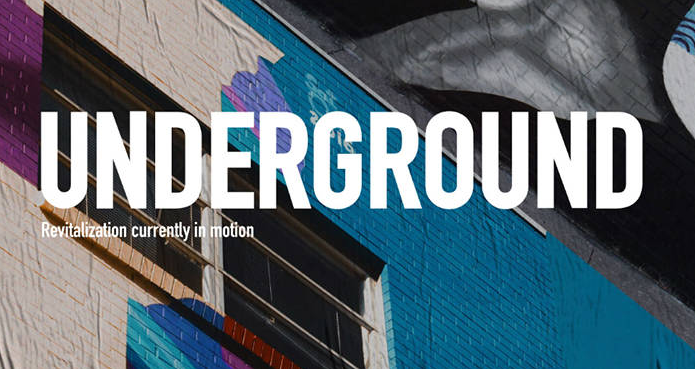 Just unveiled, the new Underground branding is bold, vibrant, clean and inspiring. It represents the energy and diversity within Underground’s community. And if you look closely, you’ll notice the new logo is a depiction of the four city blocks that create Underground. View Underground’s brand reveal here and learn more at www.undergroundatl.com. Be sure to check back as the full website will arrive August 2018. To read more 100-word stories on topics of intrigue, check out TheAtlanta100.com and subscribe to the e-newsletter.